Marstall Sinfonie is a powerful, revitalizing and refreshing herbal muesli without oats and with extra vitamin E and selenium. 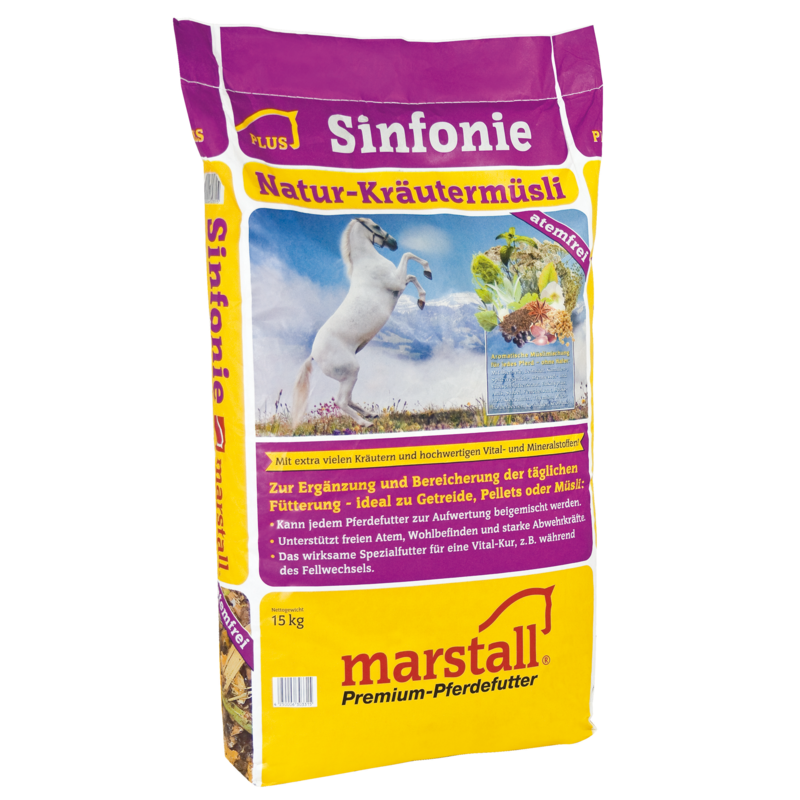 Sinfonie contains linseed, brewer’s yeast, structure from lucerne and Sinfonie Spezial pellets. The exquisite blend of aromatic herbs in natural form (including eucalyptus, nettle, thyme, fenugreek, sage) and essential oil supports the airways and stimulates the metabolism. Sinfonie thus ensures vitality and health. To complement or enrich the daily ration, use it ideally next to a ration of grain, pellets and/or muesli. 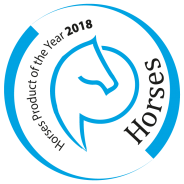 Use Sinfonie as a forty-day cure to support the moulting period in spring and autumn and to activate the metabolism.